Let me be real for a minute. I love soda. There's nothing like it- the fizz, the sweetnest, the Ahhh moment. Regardless, that doensn't mean I want all the unhealthy things that come with soda (Aspertame anyone?). So rather than buying a soda filled with crap, think about making a homemade one. It's really easy, simple and delish. 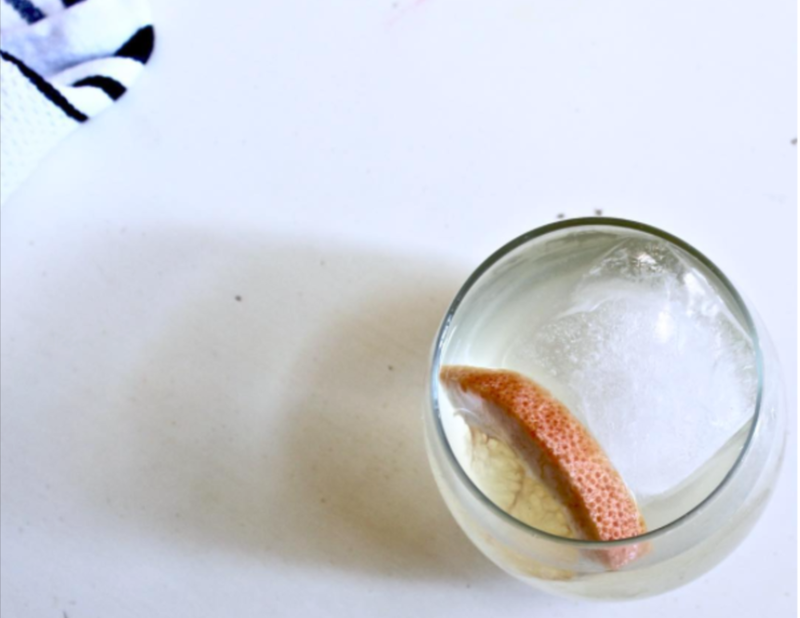 During the hot months I tend to want something refreshing which is why this Grapefruit Soda is perfect. Hope you like it as much as I do. 1. In a small sauce pan over medium heat add the water and sugar. Once the sugar is dissolved about 3minutes, add the zest from the grapefruit and half of grapefruit slices. Cover and remove from heat. Let stand for 15 minutes. 2. Strain simple syrup and throw out the strained remains. 3. In a glass over ice add 3 tablespoons of the simple syrup and top with the la croix.